The I1601FWUX only scales up to 1,920-by-1,080 pixels — below Apple's "Retina" level — but is also just 8.5 millimeters thick, and weighs less than 1.8 pounds. In keeping with the USB-C standard, video is carried via a DisplayPort signal. The screen is an IPS panel with 160-degree viewing angles, and a 5-millisecond response time. A Low Blue Light mode can be activated to reduce eye strain or sleep better at night. For protection when traveling the monitor has a metal back and a bundled "smart" cover. 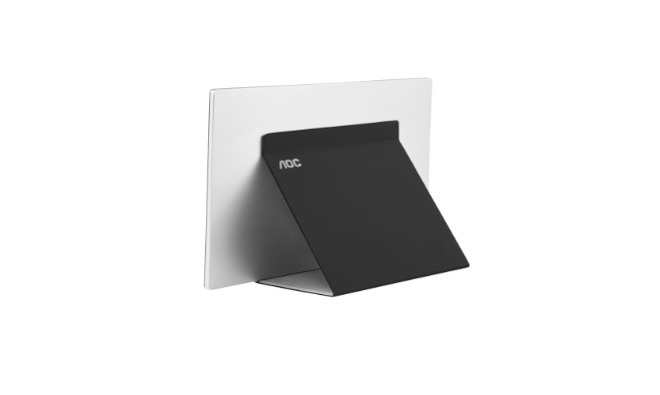 The latter turns into a display holder, working in both landscape and portrait views. 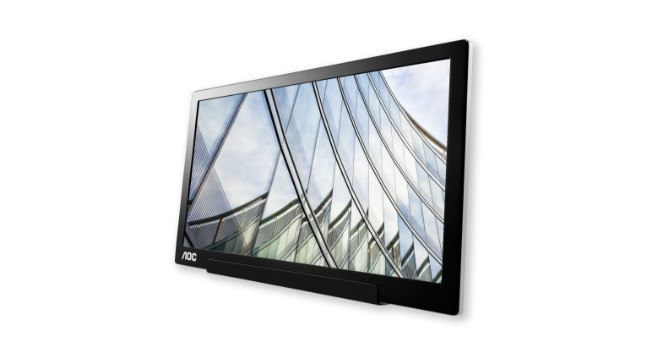 The retail price on the AOC I1601FWUX 15.6-inch USB-C monitor is $199.99. At present, it is available in the U.S. for $195.85 on Amazon.